Say you spend $1,300 on a new computer. You expect it to last for at least the next 4 years, right? You wouldn’t want to spend thousands on a laptop that you’ll have to replace again next year. It doesn’t make sense. So why do we do that with our smartphones? Why do we upgrade every 2 years? Why do we start to see problems with them when they get close to their 2-year mark? Smartphone technology evolves at a rapid pace. 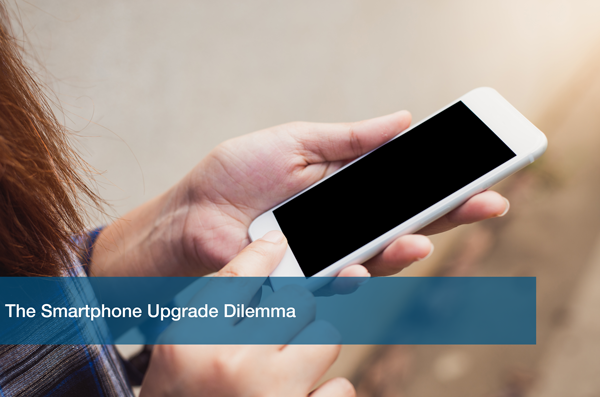 It makes sense to upgrade your smartphone frequently. You want to have the latest in tech. The amount of wear and tear we put on them is outstanding; of course they are going to show a little age. But do the newer hefty prices match up to the longevity of them? If they cost more, shouldn’t they last longer? The new iPhone X was just announced with a pretty price tag of about $1K. The Verge hits on this issue in an article when they ask readers: how long should a $999 phone last? The one after that might be even more. As the prices go up, their longevity seems to stay the same. I mean sure it’s awesome to have a new smartphone every year or two. Change is nice! But does the product justify the cost? Should we be expecting more from phone makers? Smartphones are essentially mini computers that fit in our pockets. Every aspect of our life is managed one way or another through our phones. We pay our bills. Keep up with friends. We find directions, movie show times, and so much more. There’s honestly an app for everything. If our phones are capable of all this, then why can’t they last us a little bit longer? Is our technology not there yet? Is there some sort of secret agreement that companies have to keep us buying new phones every 2 years? Or are these just remnants from the 2-year contract days? Whatever the case may be, it’s something to think about. Phone makers have a never-ending war about who has the greater phone. The old Android vs. Apple phenomenon. The real question is: which one is going to last us longer so we don’t necessarily have to upgrade so soon. At ITC, we understand your business needs the latest and greatest in tech. Just as important as phones, computers play a huge role in your day-to-day of running a business. Sometimes it can be a little confusing trying to pick out the best equipment for you. That’s why ITC offers a Free IT Analysis. We sit down with you and analyze your IT to ensure that you have exactly what you need to be at the top. Call us today to schedule your free analysis with one of our experts. We support your technology so you can focus on your business.